Easy-to-use online warehouse management software, specifically designed for webshops. With Picqer in your warehouse, you'll never stand alone. We support you in everything that happens within your warehouse. From smart purchasing to processing and shipping your orders. Connecting Picqer to your warehouse and shops is done before you know it. 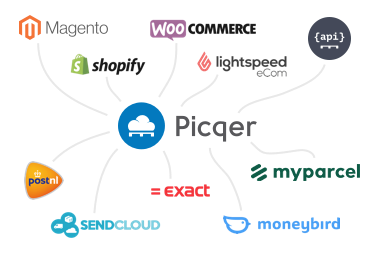 Within 1 day you are online with Picqer and able to ship your orders 5 times faster. Without Picqer we would need 6 to 7 extra employees in our warehouse. A lot of webshops use Picqer daily. In different markets (from baby clothing till fishing gear) and in different sizes (from 20 till 2000+ orders a day). See what our clients say about us in the cases. For every type of warehouse, Picqer gives you different advantages. That is why we are happy to give you a personal demonstration of our software. 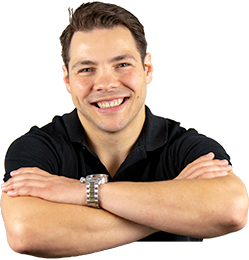 In a remote call we will show you how Picqer can help your business and we will answer all your questions.